Since 1967, Around the Clock Heating and Air Conditioning has taken care of the heating and cooling needs of Encino, CA homeowners. Over the past five decades we have built an unchallenged reputation for delivering the top value in energy and money savings in the greater Los Angeles region. As licensed, bonded, and insured Lennox Premier dealers, Around the Clock Heating and Air Conditioning offers only best-in-class air conditioning repair Encino, CA and heating installation services best suited for the low-humidity, high-temperature summers of the San Fernando Valley and Encino in particular, as well as repairs and preventative maintenance for a wide variety of HVAC brands. Around the Clock Heating and Air Conditioning also provides exceptional heating services for those cool winter days and nights that have been know to catch Encino, CA residents by surprise from time to time. Contact us to speak to one of our Air Management Specialists or to request a free, no obligation consult. for air conditioning services in the surrounding Encino area and discover why “top tier” does not have to mean top price. Encino Summers and often Falls are often known to be oppressively hot. This is an accepted fact of life living in the Valley. Maintaining a properly working Air Conditioning or HVAC system is thus a matter of critical necessity for any Encino home, not a mere luxury. If your air conditioning system is experiencing problems or has stopped working completely, Around the Clock Heating and Air Conditioning is there to handle any Air conditioner repair in Encino. To keep your system’s performance up to factory specs, and to prevent costly Air Conditioning failures, Around the Clock Heating and Air Conditioning offers top-tier yearly preventative maintenance service, headed by professionally trained Air Management specialists. Around the Clock Heating and Air Conditioning services a broad spectrum of brands beyond Lennox®, including Whirlpool®, Bryant®, Ruud®, Westinghouse®, DAY & Night®, Ducane®, Goodman®, Amana®, Rheem®, Payne®, Trane®, Carrier®, York® and American Standard®. Call us at 800-434-9277 or contact us online to schedule any repairs, or preventative maintenance service on virtually any HVAC brand. A complete A/C replacement is considered, for the most part, an infrequent investment, occurring generally no more than once, or twice, in the ownership cycle of a home. This makes the determining the most suitable and reliable Air Conditioning or HVAC system all the more critical. 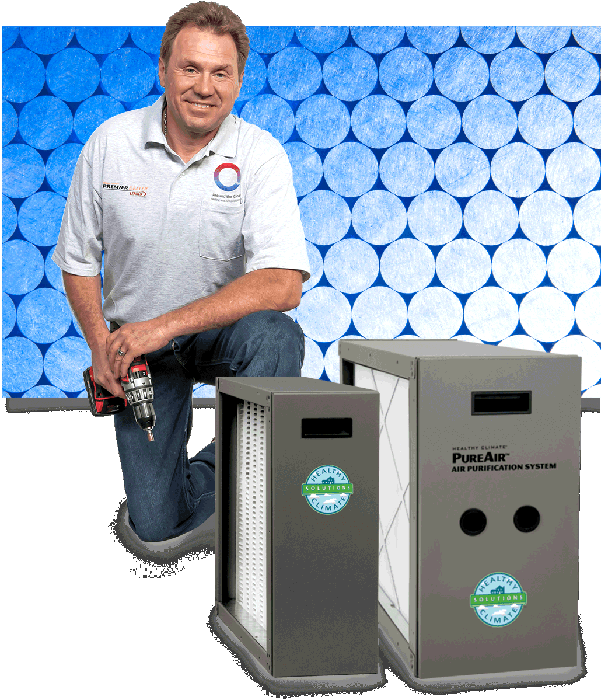 As a Premier Lennox dealer serving all of air conditioner repair Encino, California, Around the Clock Heating and Air Conditioning offers only the most efficient and advanced Lennox Comfort systems, and is available year-round to install state-of-the-art Lennox® Air Conditioning units. Should you wish to schedule a replacement of your current HVAC or air conditioning, or wish to obtain an evaluation of the performance of your current HVAC system, call us at 800-434-9277 or contact us on line for an appointment. A reliable heating system is key to ensuring a comfortable living environment during cold winter nights not uncommon in the San Fernando Valley. If your heating system is experiencing performance issues or is not operating at all, Around the Clock Heating and Air Conditioning’s Rapid Response Team is available year-round for emergency heating repairs to restore your malfunctioning system whenever possible. Our qualified technicians are always available 12 months a year for yearly preventative Tune-ups to ensure that your heating system’s operating performance is up to factory specs. Around the Clock Heating and Air Conditioning’s services a broad range of brands, including Lennox®, Goodman®, Bryant®, Westinghouse®, Rheem®, Payne®, Amana®, Carrier®, York®, Trane®, American Standard®, Ducane®, Ruud® and DAY & Night®. 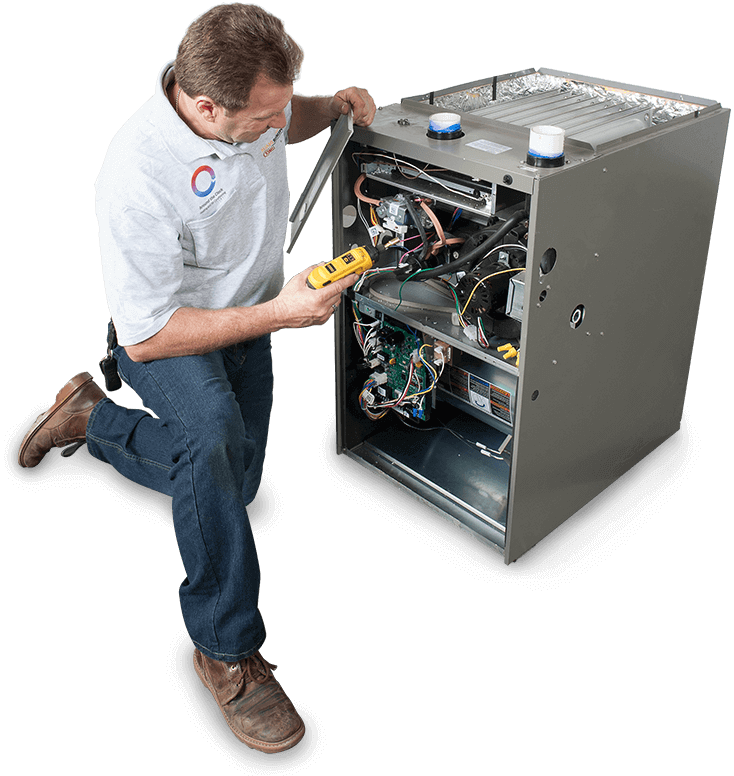 Should your system break down without warning or show early signs of failure you think may require eventual repair, call us immediately at 800-434-9277 or contact us any time online for quick Rapid Response repair. A dependable, high-efficiency furnace or heating system may seem like a minor issue in the San Fernando Valley, but in fact can prove to be a lifesaver, on those chilly Encino winter nights. 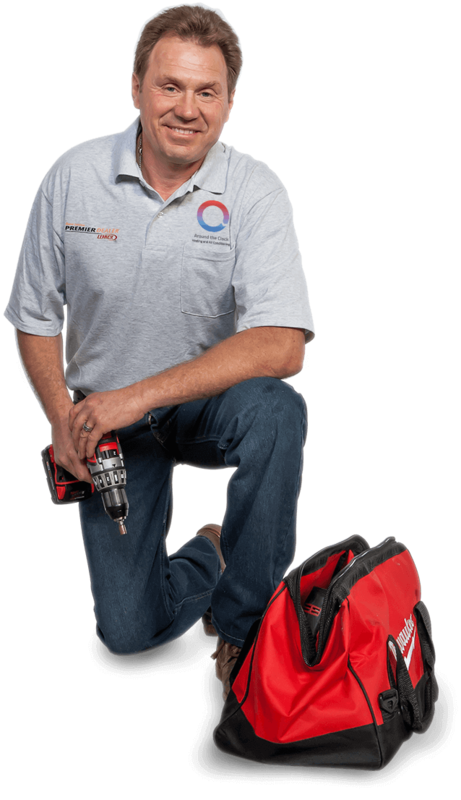 As a Los Angeles Lennox Premier serving Encino, CA, Around the Clock Heating and Air Conditioning’s team of PRO comfort control specialists offers the finest in heating systems and furnaces, from the developers of the modern day air-blowing furnace. For more information on Heating and Furnace Replacement services in Encino CA, contact us for free consultation or call us for a free estimate on a new furnace or heating system installation. An inadequately insulated or improperly ducted home can prove extremely expensive in the long run. Hot or cold conditioned air can easily escape the household, demanding greater strain and usage from the central HVAC system to maintain a comfortable interior temperature, leading to a decrease in efficiency and an increase in energy usage. To lessen the impact on monthly utilities, Around the Clock Heating and Air Conditioning Repair Encino, CA team of ducting and insulation PROs is available 12 months a year to conduct on-site assessments of your home’s insulation and ducting, in order to assist you in determining the most cost-effective solution to all your ducting insulation needs. Call us at 800-434-9277 or contact us to speak to an Air Management Specialist and schedule a free no obligation consult. A critical environmental component to any home’s interior, particularly in a major city, is clean air. Around the Clock Heating and Air Conditioning is trained to assist homeowners in Encino CA with finding the best solutions for the installation of air purifiers, humidifiers, dehumidifiers, and UV germicidal lights. Our Encino team of Air Quality Specialists has the knowhow to evaluate your household’s current air quality and make any recommendations to ensure that the air you breathe is the best it can be. Call us at 800-434-9277 or contact us online to schedule an Indoor Air Quality Audit of your Encino CA home. Around the Clock Heating and Air Conditioning offers the most efficient, reliable and cost-effective Air Conditioning, Heating and Air Quality Services, as well as total Ducting installation and repair for all of Encino, CA. To schedule either repair, maintenance or an evaluation, call us at 800-434-9277 or contact us. Centrally located in the Southern San Fernando Valley and the Northern slope hills of the Santa Monica Mountains, Encino is often referred to as the Beverly Hills of the Valley. This affluent community is flanked to the North by Reseda and the Sepulveda Basin, Tarzana on the West, Sherman Oaks on the East and by Bel-Air and Brentwood on the Southeast / South. Encino, CA which means Oak in Spanish, was first discovered by European explorers on August 5 1769, when the Spanish Portola expedition traveled from the South up through the Sepulveda pass into the San Fernando Valley and bivouacked two nights at a native American village near what is now Los Encinos State Historic Park. Juan Crespi, the Franciscan missionary monk travelling with the Portola expedition and who chronicled most the mission, named the valley “El Valle de Santa Catalina de Bononia de Los Encinos” (The Valley of St. Catherine of Bononia of the Oaks). In time Crespi's longwinded name for the area was shortened to simply "Encino". The actual town was established in 1845 when a large parcel of former Mission San Fernando land was granted to three Mission Indians by governor Pio Pico becoming Rancho Los Encinos (Ranch of Oak Trees).